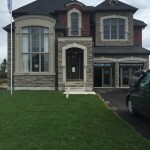 Whether you’re looking to save money, are concerned about the environment, or just want your home to be more sustainable, energy saving is a priority for many homeowners. These tips will help you decrease your bills and increase your home’s energy efficiency. When it comes to heating and cooling, there are some great ways to decrease your energy consumption! Choose ceiling fans as options for keeping the Air Conditioning tuned to warmer temperatures. 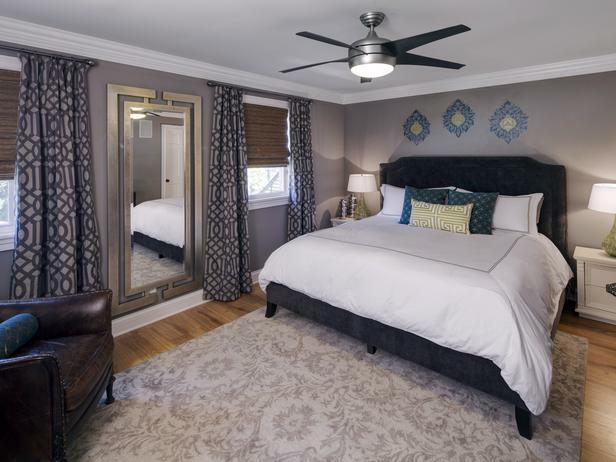 Ceiling fans use significantly less energy than A/C units, allowing you to turn off the unit at night, open the windows, and use fans to keep cool. Turn down your thermostat at night in the winter, and turn up the thermostat at night in the summer. In the summer, open windows can keep you cool most nights, and in the winter, extra blankets on the bed will keep you warm. Follow the same rules when you are on vacation or away from home (at work or school). A programmable thermostat will save you having to remember to adjust the temperature in your home according to time of day, and can save you up to $150.00 in energy costs! Bonus? It contains no mercury, unlike traditional thermostats. When it comes to heat, also consider a wood stove! Not only is the nostalgia factor high for many, but they provide much more efficient heat sources than gas furnaces. And don’t forget to close your curtains on cold nights. The drapery will better insulate your room and keep out drafts. 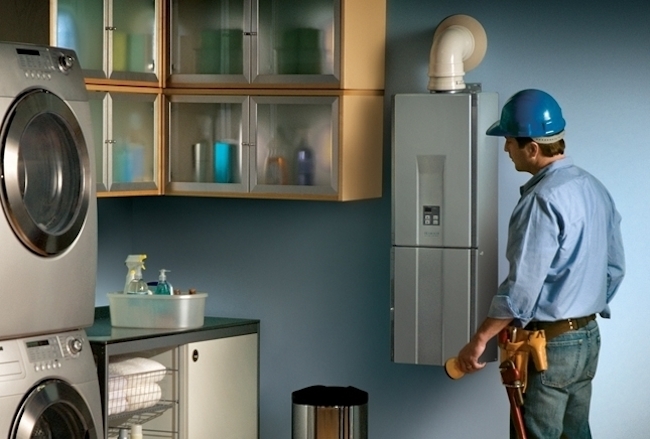 Installing a tankless water heater means on-demand hot water and only using energy when you use hot water. 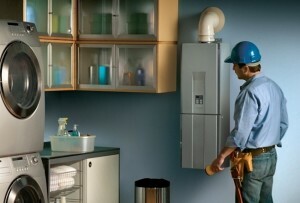 Tankless heaters don’t incur the standby energy losses associated with traditional storage-water heaters. This means saving energy AND money! When as hot water tap is turned on, cold water moves through a pipe into the unit and is heated by a gas burner or electric element. The result is a constant supply of hot water, meaning you’ll never wait for hot water again! 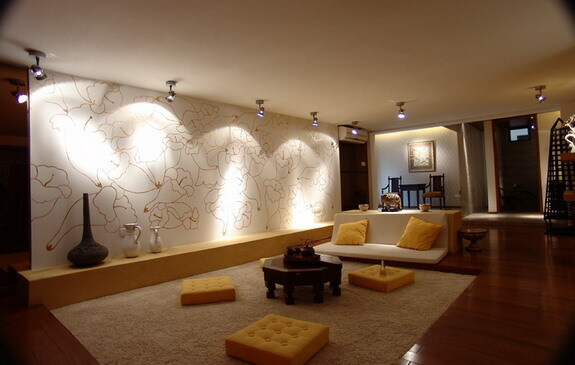 Replace your incandescent lights with newer lighting technologies that use less energy. LEDS and Compact Fluorescent Lamps (CFLs) can reduce lighting energy use by 50% to 75%. These bulbs also last about ten times longer than incandescents. For the highest efficiency, choose LED. They last even longer than CFLs, consume less energy, are more durable (they contain no moving parts) and are mercury free. To save water and energy, be sure to upgrade to energy efficient shower heads, faucets and toilets. Low flow shower heads conserve water usage and are available in a variety of flow rates. Low flow toilets can drastically reduce your water use and save up to 12,000 gallons per year! Dual flush toilets are also gaining popularity, allowing you to choose between a light flush for liquid waste or a larger flush for solid waste. 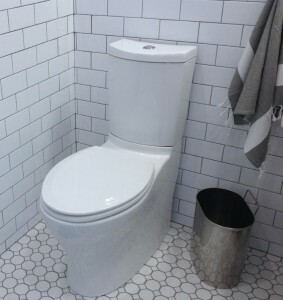 Dual flush toilets can save you an additional 30% in water consumption. High efficiency faucets will also cut your water consumption by 30%. Kitchen layout is important when hoping for a high efficiency home. Refrigerators and freezers should not be located near stoves or heat sources, or in direct sunlight. This helps keep things cool, with less energy consumption. Make sure all of your appliances are energy star certified and high efficiency. Unplug electronics and chargers when they are not in use. Consider using laptops over desktop computers, as they use considerably less energy. 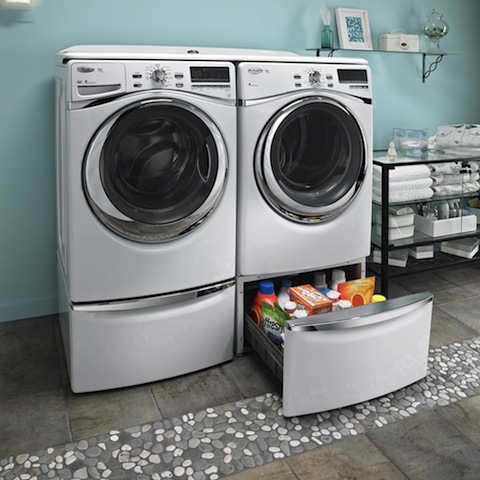 When it comes to your washer and dryer, try to only wash full loads. Avoid using high temperature settings unless clothes are very soiled. Use the cold water option as often as possible to save energy. Clean the lint trap with each new load for the most effective drying cycle. A full lint trap actually prolongs drying time! Line or rack dry as often as possible. Small changes like these can make big impacts! Take these initiatives to save money, energy and the environment and make your home as efficient as possible!